The mid-2000’s were a simpler time. When gas was cheap and smartphones were still scarce, technology and efficiency weren’t as important to car buyers as they are now. 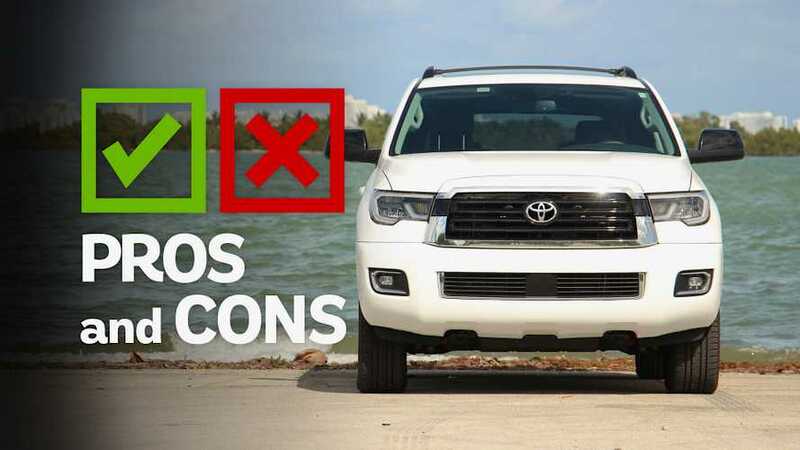 Back then, the then-new Toyota Sequoia was perfectly competent, but in 2019, the largely unchanged truck-based SUV is showing its age. 2018 Toyota Sequoia Review: You’re Still Here? Lacking tech, low on efficiency, and devoid of modern DNA, the Sequoia doesn’t make much sense for today’s buyer. 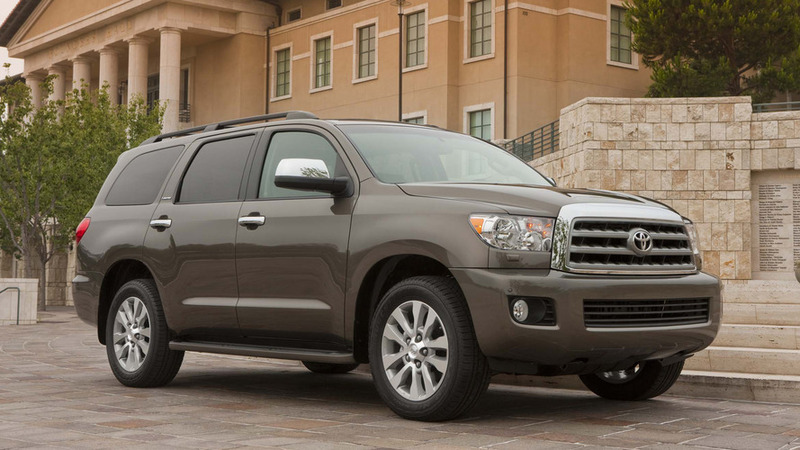 But Toyota saves face, barely, by way of the Sequoia's stylish TRD Sport trim level, expansive cabin, and strong engine. 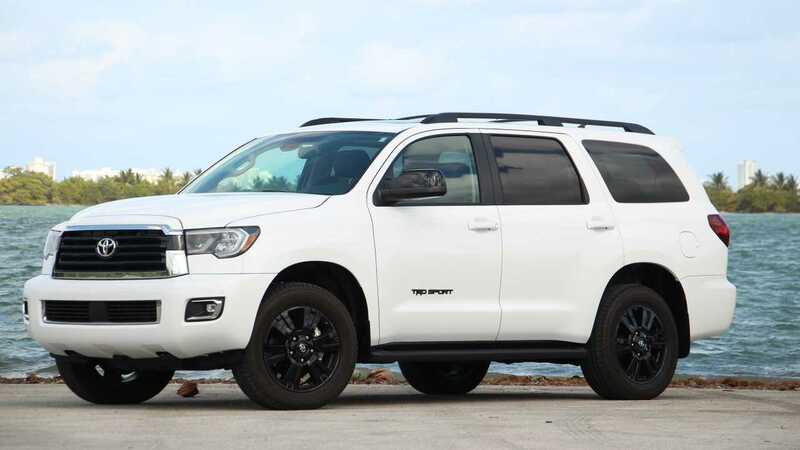 Say what you will about the standard Sequoia, but the TRD Sport package at least adds some style to the large SUV’s look. 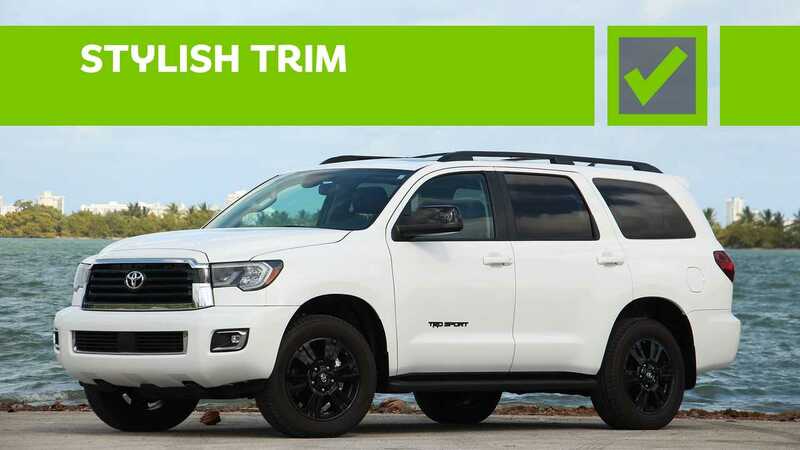 The blacked out accents on the wheels, badging, and grille surround, along with the smoked front and rear taillight housings, give the Sequoia a more modern, aggressive look. The integrated fog lights with chrome surrounds are a nice touch, too, and there's some unique TRD Sport badging in the cabin. The three-row Sequoia is extremely roomy. 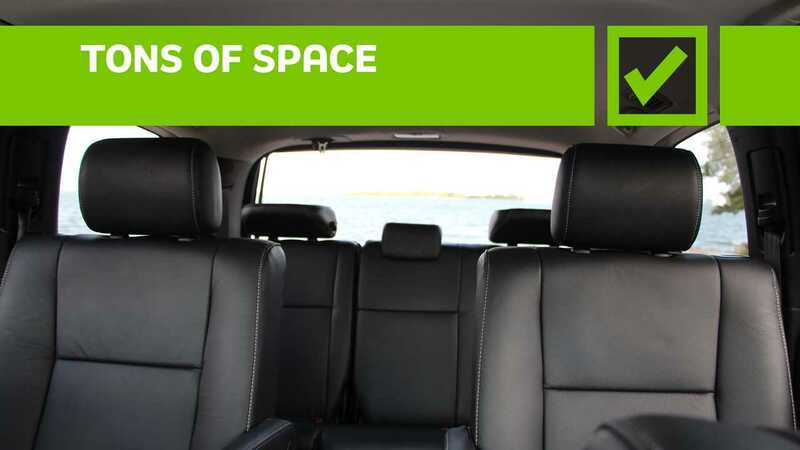 With second- and third-row rear bench seats, the Sequoia can hold up to eight. As tested, with comfy second-row captain's chairs instead, this one holds seven. But it still offers plenty of room. The front row has a hearty 42.5 inches of legroom. 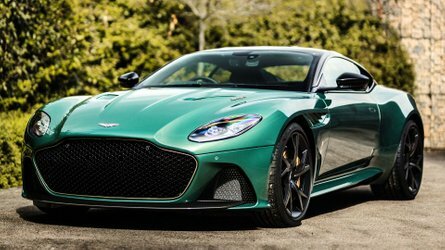 The second row is supremely spacious with up to 40.9 inches of legroom, and the third row, with its 35.3 inches of stretch-out space, has enough space for actual adults – not just small children or the driver’s least favorite passengers. 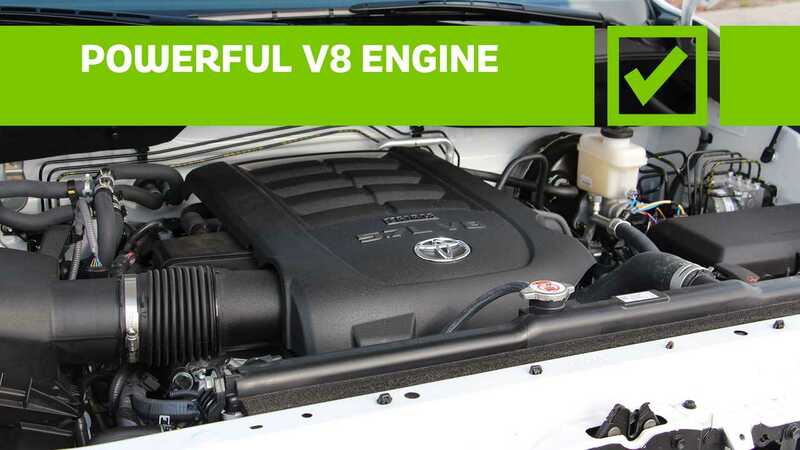 The Sequoia's 5.7-liter V8 is dated, relatively speaking. But as in the Tundra, this engine's still got grunt. 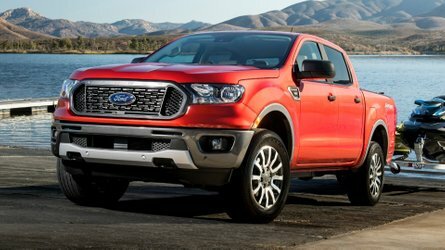 Its 341 horsepower and 401 pound-feet of torque move the 5,985-pound SUV around easily. 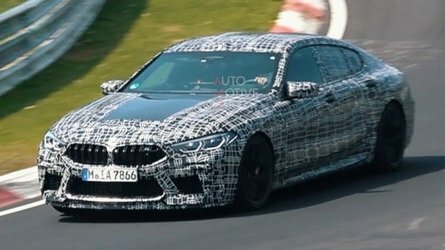 The six-speed automatic transmission, meanwhile, is totally inoffensive and competent. And the addition of four-wheel drive (an $3,225 option on the TRD Sport) means the Sequoia can take on more rugged roads. Bet you didn't know Toyota still built the Sequoia well into 2019, did you? When it was new in 2007, George W. Bush was still president and Shrek The Third was in theaters. Since then, the Sequoia has only seen incremental updates. 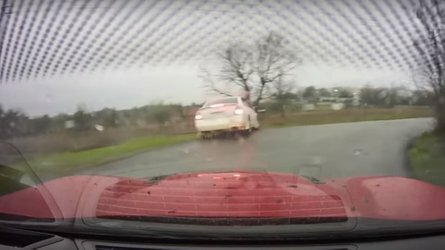 The company added a rugged TRD Pro trim this year, and the tested TRD Sport model last year. But that's about it. It's obvious that the Sequoia needs a serious overhaul, which leads us to our next two points. 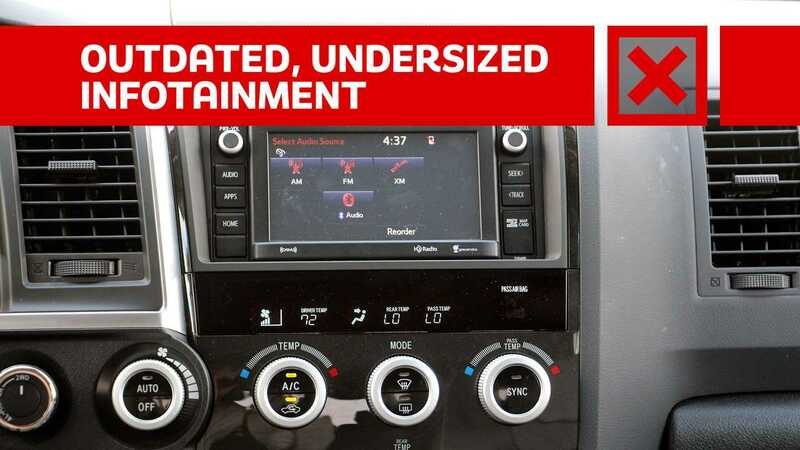 Outside of being extremely small and hard to see from the driver's seat, the Sequoia's 6.1-inch infotainment display is antiquated. Other Toyota products have adopted Apple CarPlay and Android Auto, but the Sequoia hasn't – if Toyota hasn’t attached this tech to some of its newest products, do you really think a slow-selling, uncompetitive 12-year-old SUV is going to have it? Instead, the Sequoia sticks with outdated, off-the-shelf Toyota home screen and graphics. The addition of CarPlay and Android Auto would have at least made this small screen more functional. 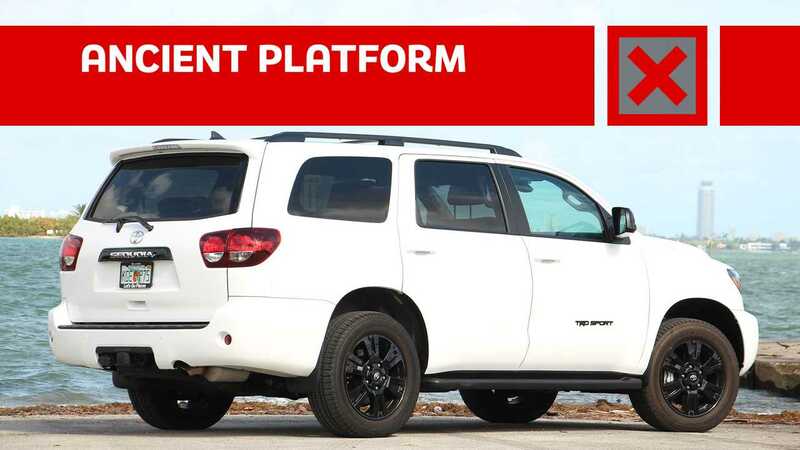 The four-wheel-drive Sequoia TRD Sport gets a measly 13 miles per gallon city, 17 highway, and 14 combined. 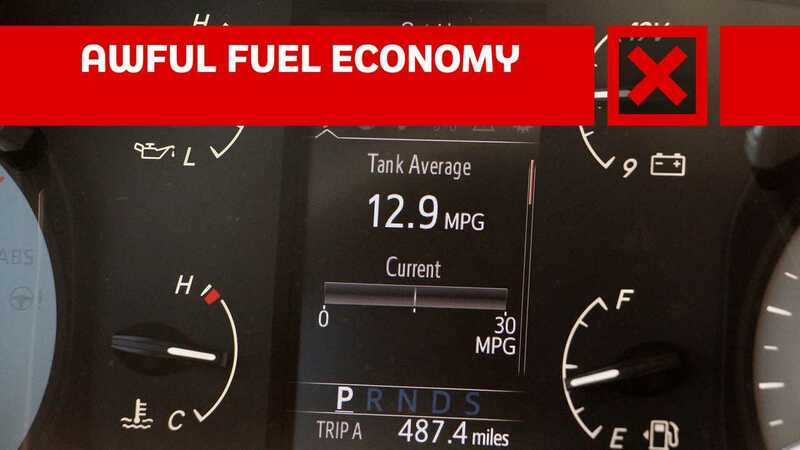 That's handily the worst fuel economy in this segment. Not even Sequoia's four-wheel-drive Tundra sibling is as thirsty (13/15/18). And just for fun, you can get a Roush Stage 3 Mustang that's more efficient (13/20/15) than this big SUV.